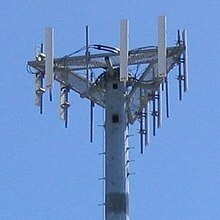 ^ Overview of Wireless Communications. cambridge.org. [2008-02-08]. ^ Getting to Know Wireless Networks and Technology. informit.com. [2008-02-08]. ^ Wireless Network Industry Report. [2008-07-08]. ^ Global System for Mobile Communication (GSM). iec.org. [2008-02-08]. （原始内容存档于2008-02-07）. ^ History of Wireless. jhsph.edu. [2008-02-08]. （原始内容存档于2007-02-10）. ^ 电磁场与公共卫生：移动电话. 世界衛生組織. 2014年10月 （中文）. ^ 电磁场与公共卫生：基台和无线技术 (PDF). 世界衛生組織. 2006年5月 （中文）.